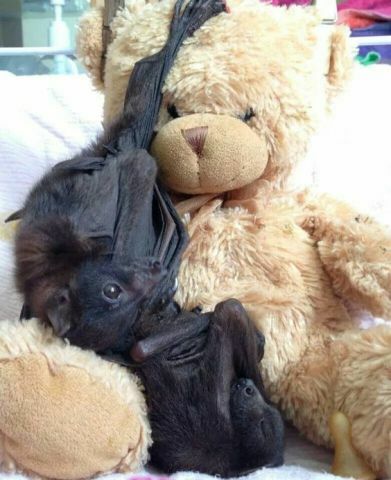 Everybody needs a nice soft teddy bear to cuddle -- no matter what the species! Who knew bats were this affectionate? Bat Appreciation Day was April 17, 20016.